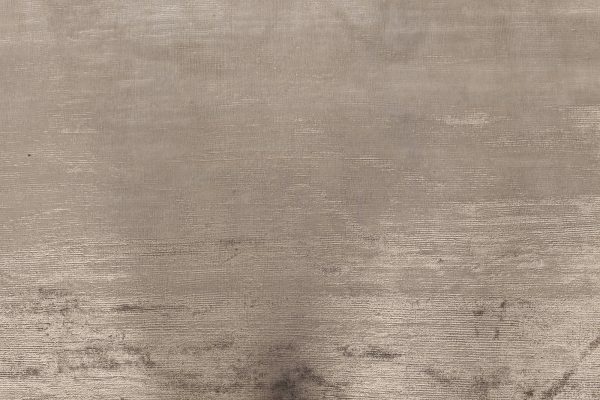 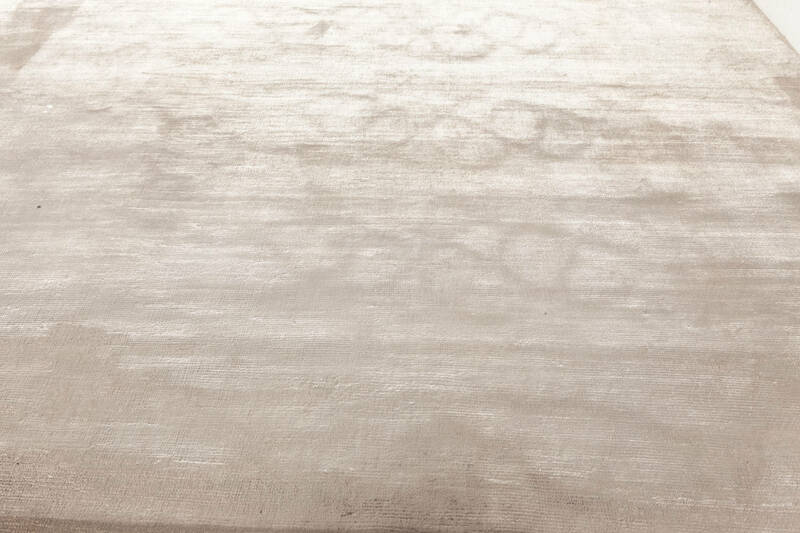 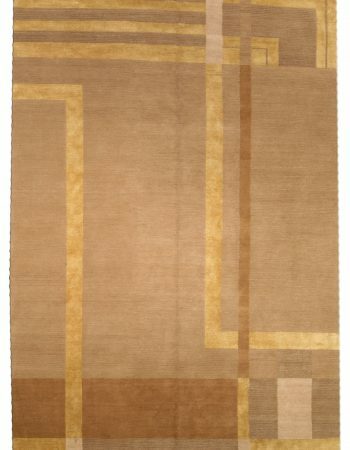 Fair and square, this contemporary silk rug is the essence of timeless design. 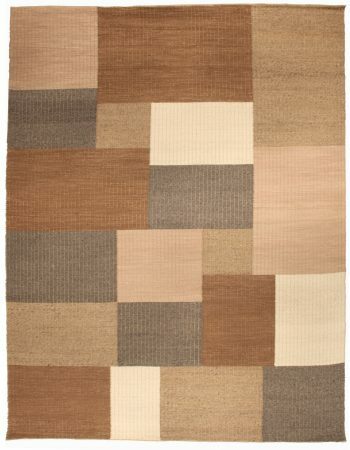 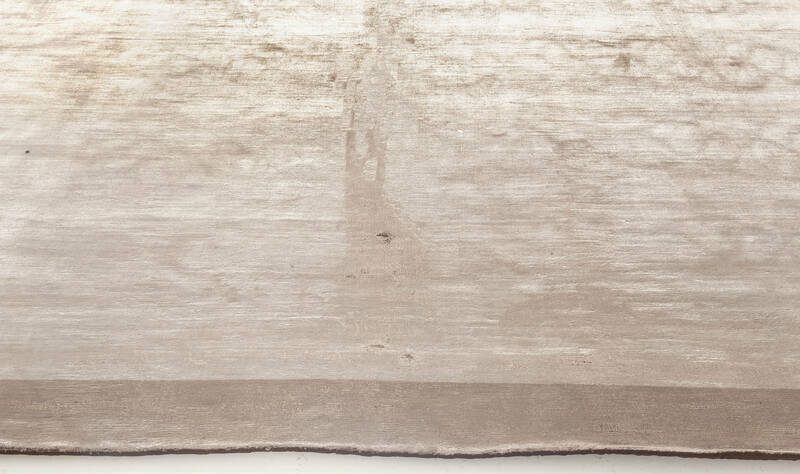 It belongs to the category of solid rugs which do not bear any pattern and are rendered in a single neutral color. 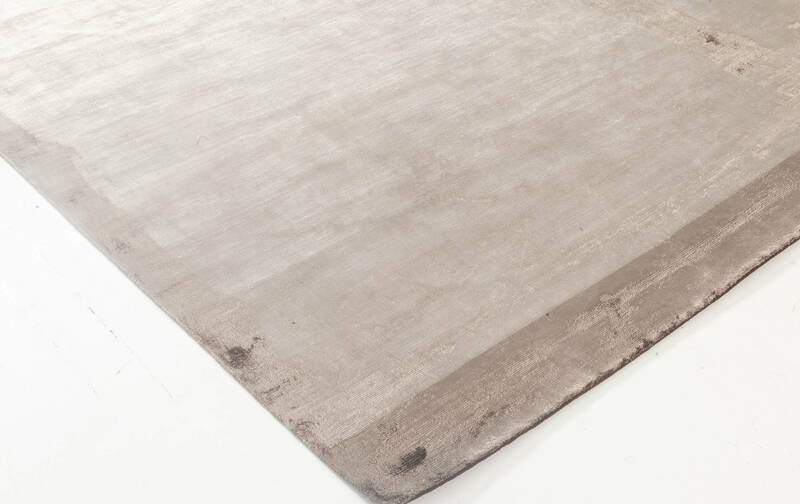 Their main strength lies in refined workmanship and versatility which enables them to serve many years in a wide array of décors organizing and optically enlarging the space. 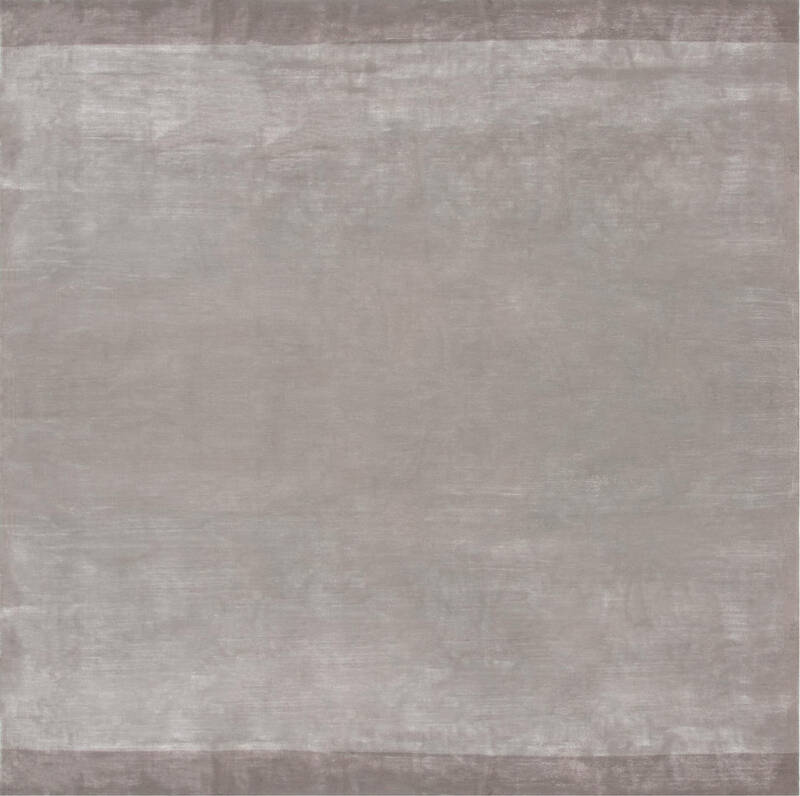 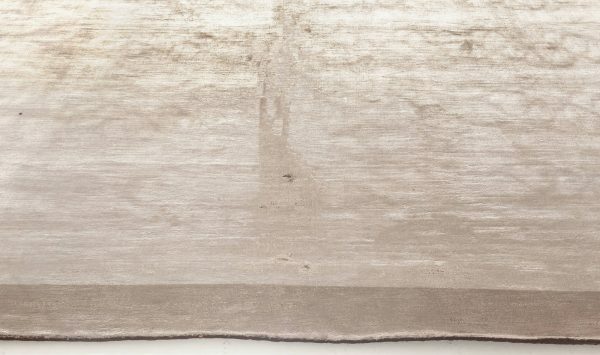 The modern rug before you is rendered in a chic shade of steel gray with two taupe stripes running at the top and bottom of its graceful body to finish the composition in a classy way. 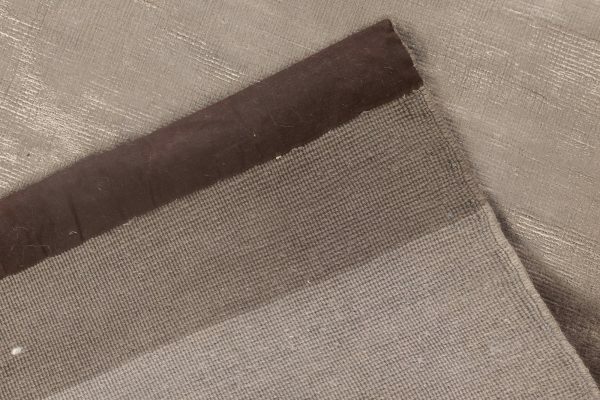 Its soft pile exudes a delicate luster due to being made of top-notch silk which adds an even deeper dimension of elegance to the already sophisticated whole. 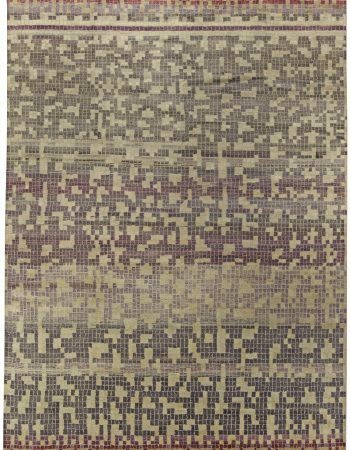 Next to beauty, the modern rug distinguishes itself with exquisite quality. It was carefully hand-woven of silk in accordance with traditional techniques by a skilled artisan to ensure its durability and uniqueness. If properly maintained, it will withstand decades without any signs of wear, pleasing the eyes and feet of its lucky owners. 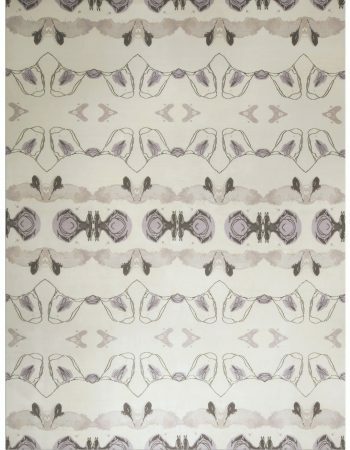 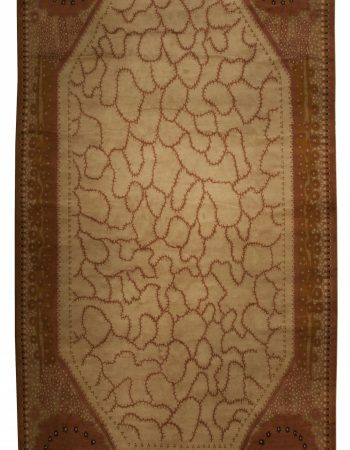 As all new and custom rugs by DLB, this contemporary silk rug is an investment rather than an outlay that will become the favorite décor element in absolutely any arrangement.